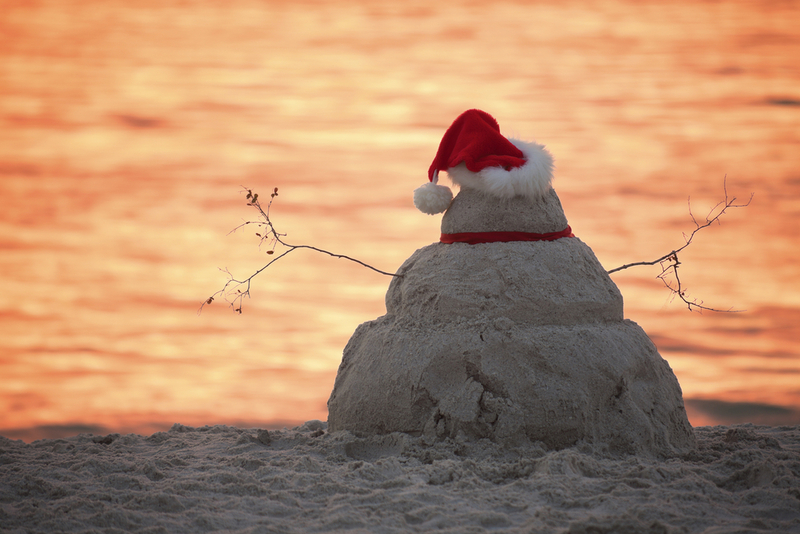 Spending the holidays with us in Key West? Here are some activities to look forward to. Get your annual dose of Christmas lights along the seawall of the Key West Bight during the city’s Harbor Walk of Lights, on display until the new year. See the Christmas tree made of buoys, another made of lobster traps, and more maritime holiday decorations during this annual set-up. Visitors can enjoy local vendors, eats and drinks on the harbor while taking in the holiday spirit. See details. Don’t miss this tropical tribute to the holiday season. Boats of all sizes are decked out with lights – and with over $20,000 up for grabs in prizes for best decorated, no detail is overlooked. Held at the Schooner Wharf & Bar, the procession begins at 8 pm on Dec. 15, with viewing along the Harbor Walk of Lights and the Historic Seaport. Arrive to the Key West Bight early to take in holiday music, shopping, and dinner. Read more. This fun, family-friendly event is all for a good cause. Decorate your bike with lights and bring an unwrapped present as an entry fee to Bayview Park at 6:30 pm on Dec. 4. The lighted bike ride parade will roll through Old Town, ending at a block party in front of Mary Ellen’s on Applerouth Lane. If you’re staying with us at The Gates Hotel Key West, bike rental is included in your stay so you can take part in this Holiday Helpers Toy Drive! Make sure to register for the parade ahead of time. For a small-town feel, the Hometown Holiday Parade features local high school bands and charming floats. View the parade along Truman Avenue and White Street all the way down Duval Street on Dec. 8 at 7 p.m. The parade starts at Bayview Park and continues down Duval Street to Eaton Street. Back for the season, the weekly Key West Artisan Market is a good place to pick up local, handcrafted holiday gifts for your loved ones. The market’s seasonal edition will feature textiles, jewelry, foodstuffs and more. This is a nice way to start a Sunday morning and pick up local goodies you won’t find anywhere else. Open from 10-2 pm at Higgs Beach on Dec. 2, 16, and 13. See the Facebook page for more information.